The southernmost tip of Scotland did not disappoint on our final recording session in the southwest. 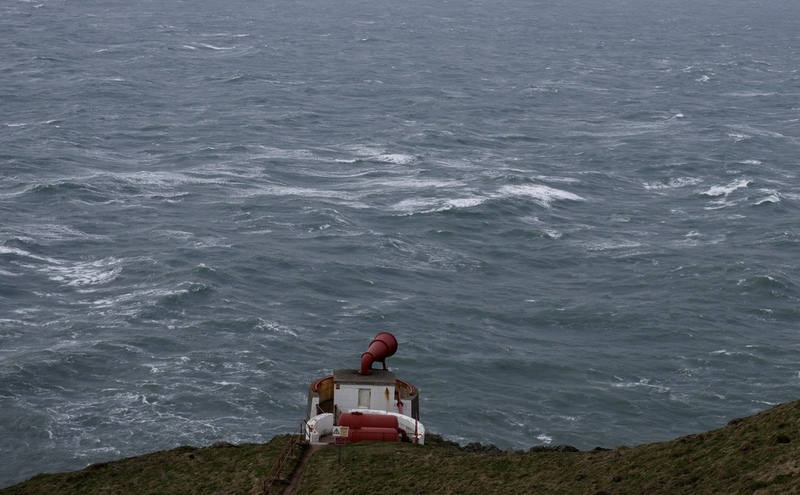 The Mull of Galloway foghorn clings onto the high cliffs that rise vertically from the sea around the coast. As the relentless, stormy wind and waves battered the coastline we carefully climbed down the steep path that leads to the foghorn where we recorded the wind as it whistled and slammed powerful blows against the horn and the surrounding wall.